Grassland plays an important role in preventing desertification and conserving soil and water in arid and semi-arid regions. Grasslands are very sensitive to, and have been affected by, climate change over the past three decades. To gain an improved insight into the dynamics and stability of grassland vegetation, we evaluated trends in the vegetation cover in the Inner Mongolia grassland and its response to climate change using the normalized difference vegetation index (NDVI) datasets from 1982 to 2013. We used resilience (E) which is the sensitivity of vegetation cover to climate change relative to their mean values and the coefficient of variation (CV) to represent the stability of the grassland vegetation cover. The results indicated that changes in the growing season NDVI were not significant with the value of 0.00033/year (p = 0.24) from 1982 to 2013. Using the CV to represent stability showed that the NDVI, with a CV of about 6.0, was more stable than precipitation and temperature, which had CV values of about 20.0 and 10.0, respectively. 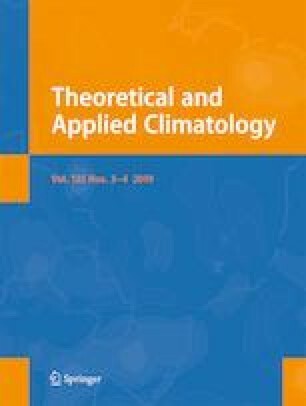 Using E as an index of the relationships between NDVI and climate variables showed that the NDVI was insensitive to both precipitation (E = 0.15) and temperature (E = 0.10) but sensitive to sunshine duration with the CV values of about 5.0. The higher E values for the different grassland types in summer might reflect climate change characterized by warming and decreases in precipitation. In summary, the grassland vegetation cover in Inner Mongolia was very stable over the period from 1982 to 2013. This study has crucial significance for future predictions of the influence of climate change on grassland and the results should be used to support the development of improved management strategies. All authors contributed significantly to this manuscript. To be specific, Dongsheng Zhao and Qing Lu conceived the research and were responsible for the data processing and paper writing. Shaohong Wu, Erfu Dai, and Jiangbo Gao made very valuable suggestions for this paper. All authors reviewed and accepted the manuscript. This work was supported by the National Nature Science Foundation of China (Grant No. 41530749, Grant No. 41571193), the Doctoral Scientific Research Foundation of East China University of Technology (Grant No. DHBK2017150), the Scientific Research Fund of Jiangxi Provincial Education Department (Grant No. GJJ170448), and the Research Center of Resource and Environment Strategies, East China University of Technology (Grant No. 17GL02).